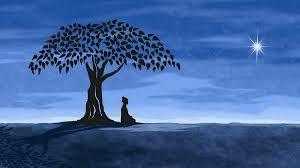 "Buddha was traveling in the company of several other people. One of the travelers begins to test Buddha by responding to anything he has to say with disparaging, insulting, hurtful remarks. For the next three days, this traveler verbally abuses Buddha, calling him a fool, arrogantly ridiculing him. Finally, the rude traveler can stand it no longer. He asks Buddha, "How can you continue to be so kind and loving when all I've done for the last three days is try to hurt you?" The Buddha responded to the rude traveler with a question: "If someone offers you a gift, and you do not accept that gift, to whom does the gift belong?" I love this story because it reminds us that when someone offers us a "gift" of hurtful remarks, we can choose whether or not to accept. If we don't accept the "gift," it then still belongs to whomever was trying to "give" it. When we intentionally choose NOT to be upset about someone else's stuff, we become empowered. Buddha is so very wise we should all read his aphorisms and consider living by them daily. As you know, God sent us many holy men such as Buddha to help us on our journey through life. But when humans met Buddha on the road we did not listen. How sad, just think what we could all learn if each of us only lived up to one of Buddha's dictums.